Despite demonstrators calling for Santa Anita Park to be shut down in the wake of 20 horse deaths since Dec. 26, racing resumed at the venerable track Sunday, one day after the latest fatality. The start of a nine-race card went off as scheduled at 1 p.m., a couple of hours after animal-rights advocates gathered outside the facility to protest the rash of fatalities. Racetrack officials announced later Sunday that Thursday's scheduled slate of races were canceled due to heavy rain expected in the Southland on Tuesday and Wednesday. "Live racing will return with an 11-race card on Friday, with first post time at 12 noon," officials said, adding that Santa Anita would remain open for training every day this week. The abnormal amount of rain that has fallen over Southern California this winter has been mentioned as a possible factor in the upsurge in horse deaths, with close to a foot of rain falling in February alone. Eskenforadrink, a 4-year-old filly who was the even-money favorite in Saturday's third race, suffered an injury to her right front ankle during the race and had to be euthanized, racing officials said. It was the first injury suffered by a horse at Santa Anita since the park re-opened Thursday after it was closed for two days of soil inspection last week. 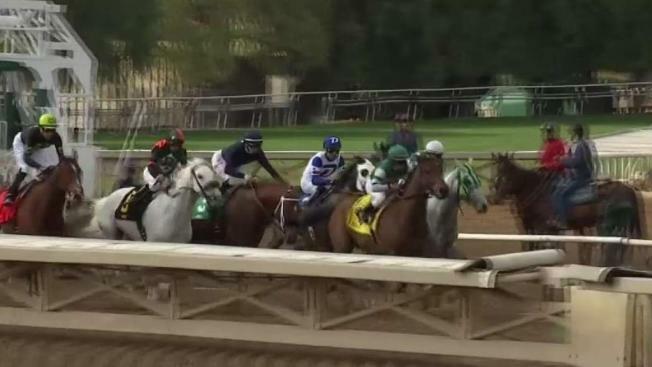 "Certainly (horse) racing has risks, as racing does in virtually any sport," Rick Arthur, medical director of the California Horse Racing Board, told City News Service after confirming the thoroughbred's death Saturday. Arthur said a necropsy will be performed on Eskenforadrink, who was bred in Kentucky but pent her racing career in California. A necropsy is conducted for every racehorse who dies at a California track, but Arthur said it was too early to say if the track played a role in the injury. "These are thousand-pound animals going close to 40 miles per hour," Arthur told the Los Angeles Daily News last week. "So if you don't have a consistent surface, it can be hazardous. "We've put a lot of effort into safety and had a very, very good year last year," Arthur said. "We've clearly taken a step back and hopefully it's a blip on the radar because of the weather. That's our expectation, but no matter what it is, we're going to make it better." "100 percent ready" for racing to resume. "The ground-penetrating radar verified all of the materials, silt, clay and sand, as well as moisture content, are consistent everywhere on this track," Peterson said. "This testing ensures all components, the 5-inch cushion, pad and base are consistent and in good order." Peterson expressed dismay when he learned of Eskenforadrink's death Saturday, according to Bloodhorse.com. "When I heard about (the incident Saturday), my response was, 'What the hell do we do?'" Peterson said. "This is where my data needs to go back to Rick Arthur, the CHRB needs to sit down with the track management, and we need to work on it. Even if we were having a good year, we need to look at what we need to do better." 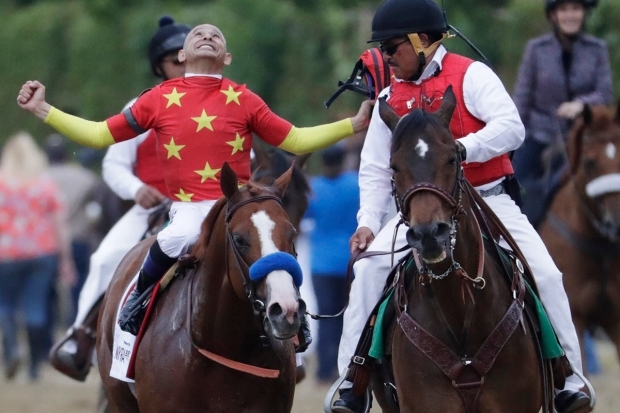 Tim Ritvo, chief operating officer of The Stronach Group, which owns Santa Anita, issued a statement Tuesday saying "we consider the safety and security of the athletes, both equine and human, who race at our facilities to be our top priority." "All industry stakeholders, including our company, must be held accountable for the safety and security of the horses and we are committed to doing just that." Mike Marten, public information officer with the CHRB, told City News Service that research does not show an increase in fatalities during rainy season. "While inclement weather poses additional challenges for track maintenance, historical records do not show significant seasonal differences," Marten said. During the same December-to-February period a year ago, 10 horses died at Santa Anita, in 2016-17 there were eight and in 2015-16 there were 14, according to the Los Angeles Times. Santa Anita averaged more than 55 horse deaths per year from 2008-18, according to data from the California Horse Racing Board -- a total of 553 deaths in all. "The number of fatalities at Santa Anita Park this year has been unusual," said Marten, who noted that the board's most recent annual report --written before the recent upsurge in Santa Anita deaths -- cited progress in reducing racehorse deaths overall in the state. "Admittedly, even one death of a racehorse is too many, but it is a sign of progress that the industry is finding solutions to a problem that for far too long has perplexed all of us who care deeply about the safety and welfare of horses," CHRB Chairman Chuck Winner stated in the report. "Equine fatalities in California horse racing have been reduced by nearly 60 percent over the last 13 years, with much of that decrease in the last year alone." The report cited several factors for the improvement, including long layoffs and histories to identify at-risk horses. On Friday, People For The Ethical Treatment of Animals called on the Los Angeles County District Attorney's Office to launch "an immediate investigation into the deaths of 19 Thoroughbred horses used for racing in just the first eight weeks of the Santa Anita racetrack's current season. The horses sustained broken bones while racing or training, and PETA believes that they likely had undisclosed injuries that were masked by medications given to keep lame and unfit horses competing, and that while the drugs may be legal, racing injured horses likely violates state anti-cruelty laws." PETA called on the CHRB to investigate the trainers of all the horses who died in the last two months and review all veterinary records. "Twenty dead horses is 20 too many, and the only responsible action is for the track to close right away and stop this spiral of deaths," PETA Senior Vice President Kathy Guillermo said in a statement released Saturday. 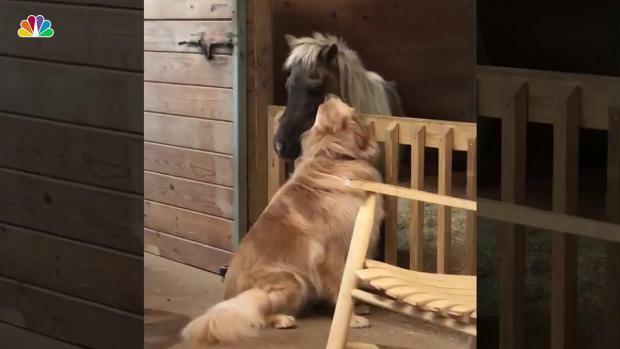 "The California horse racing board and Santa Anita must do this now, and law enforcement must begin an immediate investigation of trainers and veterinarians to find out whether injured horses were being forced to run. Virtually every thoroughbred who races in California is given phenylbutazone, a strong anti-inflammatory drug, 24 hours before a race, and this can mask injuries. 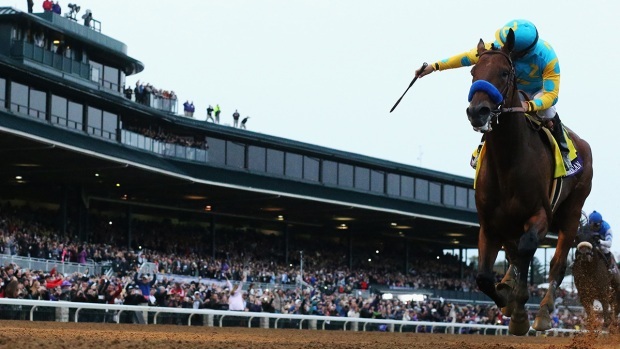 Whether there was an issue with medication or the weather-or both-it's clear that no horse should be on that track."